You have anything to say about Blu Nektar and our signature Cake Shakes? Perhaps you’d love to join our growing team of Blu Nektar Associates? 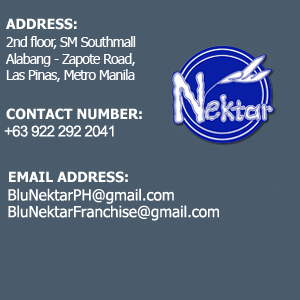 Or perhaps help us in expanding the Blu Nektar brand to a province near you? Whatever it is, use our spiffy contact form to send us a message and we will get back to you as soon as we can.